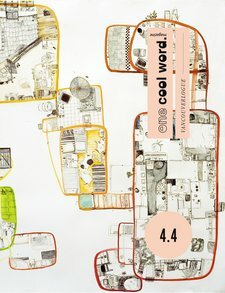 one cool word magazine is a vancouverlogue: 52 pages of art & writing and full-length compilation CD, with all content by Metro Vancouverites. OCW hones Vancouver's artistic voice by showcasing polished, avant-garde creative work and by encouraging dialogue and experimentation. By making the arts accessible vs. exclusive, OCW underscores its belief that creativity is a necessary part of a healthy community. OCW has been recognized in The Georgia Straight's Best of Vancouver issue and has received awards from the Pandora Collective, the BC Association of Magazine Publishers, and Vancouver's Word on the Street Festival, and has published such Vancouver talents as Eve Corbel, Patrick Friesen, Nathan Sellyn, Kevin Chong, Cathleen With, Brendan McLeod, Howard Penning, Jennilee Marigomen, Josué Menjivar, The Fugitives, Adaline, Said the Whale, The Clips, Brasstronaut, Elias, and Hey Ocean!.